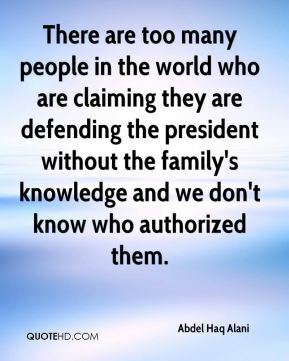 There are too many people in the world who are claiming they are defending the president without the family's knowledge and we don't know who authorized them. 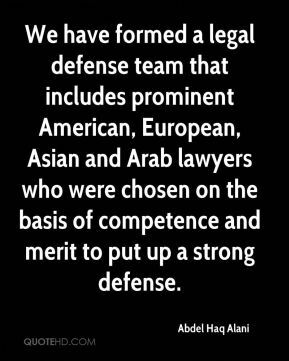 We have formed a legal defense team that includes prominent American, European, Asian and Arab lawyers who were chosen on the basis of competence and merit to put up a strong defense. 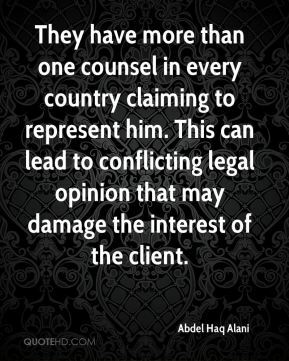 They have more than one counsel in every country claiming to represent him. This can lead to conflicting legal opinion that may damage the interest of the client. 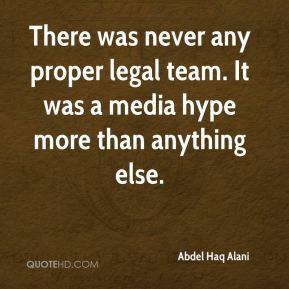 There was never any proper legal team. It was a media hype more than anything else. 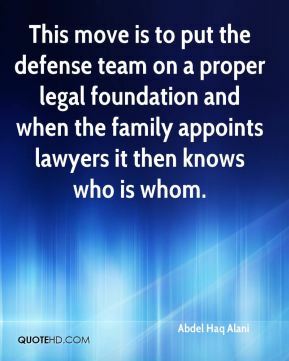 This move is to put the defense team on a proper legal foundation and when the family appoints lawyers it then knows who is whom. 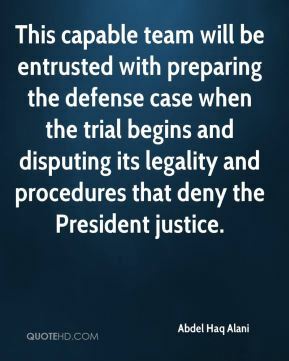 This capable team will be entrusted with preparing the defense case when the trial begins and disputing its legality and procedures that deny the President justice. 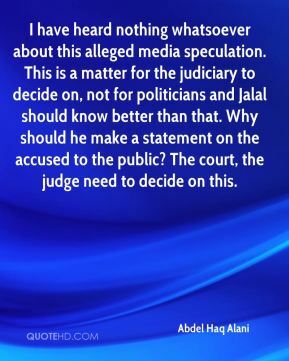 Until now we cannot get on the with task of disputing the illegality of the trial or any charge because no official document has been presented so far. 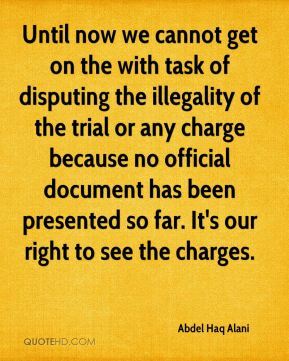 It's our right to see the charges. How can one review thousands and thousands of pages in just a matter of a few days? 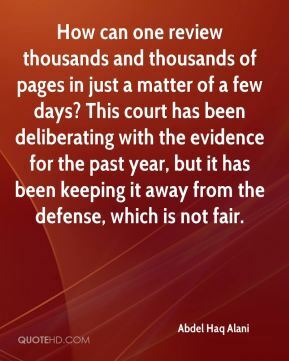 This court has been deliberating with the evidence for the past year, but it has been keeping it away from the defense, which is not fair. 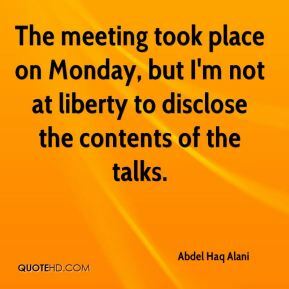 The meeting took place on Monday, but I'm not at liberty to disclose the contents of the talks. 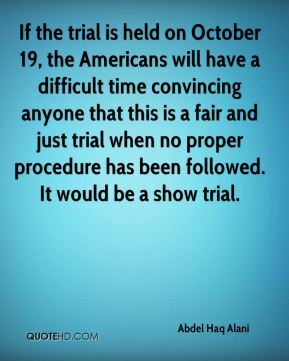 If the trial is held on October 19, the Americans will have a difficult time convincing anyone that this is a fair and just trial when no proper procedure has been followed. It would be a show trial. 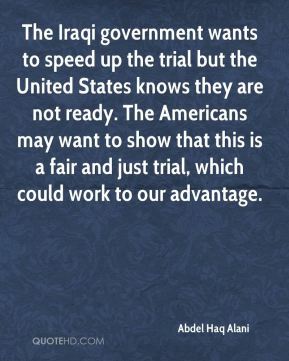 The Iraqi government wants to speed up the trial but the United States knows they are not ready. The Americans may want to show that this is a fair and just trial, which could work to our advantage. We have not had any charge laid formally against the accused, nor have we had any evidence as to what the elements are of the charge. 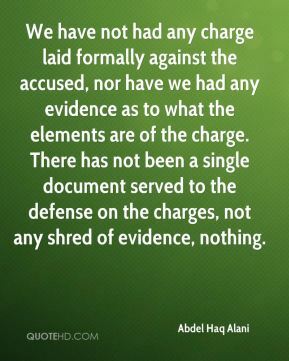 There has not been a single document served to the defense on the charges, not any shred of evidence, nothing. 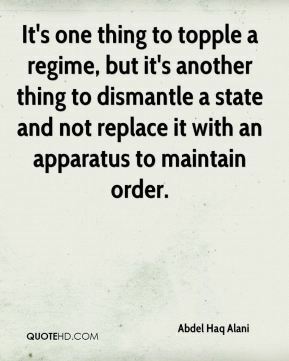 It's one thing to topple a regime, but it's another thing to dismantle a state and not replace it with an apparatus to maintain order. 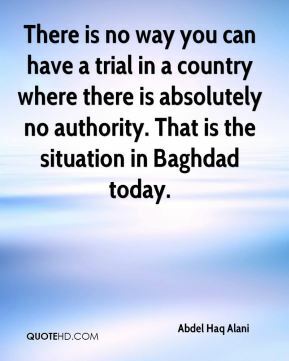 There is no way you can have a trial in a country where there is absolutely no authority. That is the situation in Baghdad today. 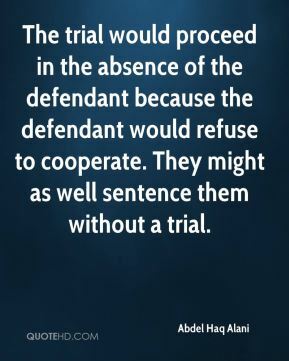 The trial would proceed in the absence of the defendant because the defendant would refuse to cooperate. They might as well sentence them without a trial. The defense team has not yet been finalized. 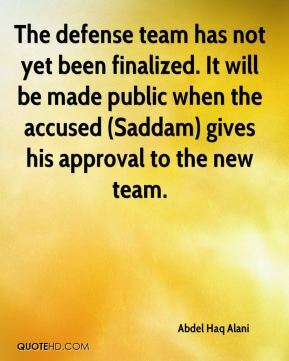 It will be made public when the accused (Saddam) gives his approval to the new team.